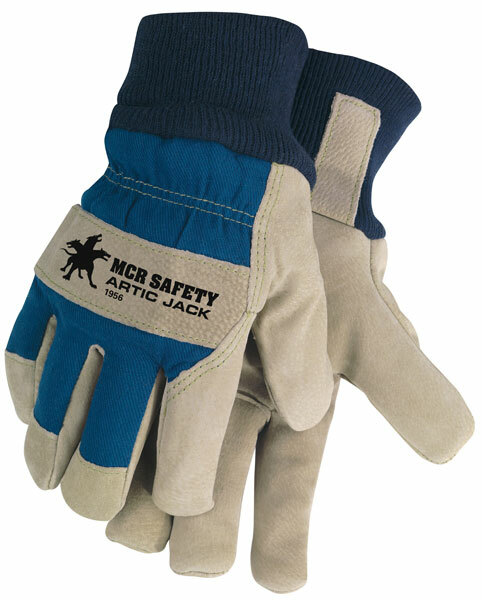 From cold storage to below-freezing highway construction, MCR Safety covers hand protection like nobody else! More patterns, more styles, and multiple insulations make Memphis Gloves a leader in insulated hand protection. The 1956 features a split pigskin palm and fingers with a blue fabric shirred elastic back. It it fully lined with Thermo-sock® to keep hands warm and features a knit wrist for fit and comfort.